Well here we are in the final third of November and we have managed to hold off mentioning Christmas too loudly until now. However with Christmas fairs looming ominously in School diaries and other celebratory events charging towards us, it is probably time to break the silence and offer up a few signposts to local yule themed festivities. 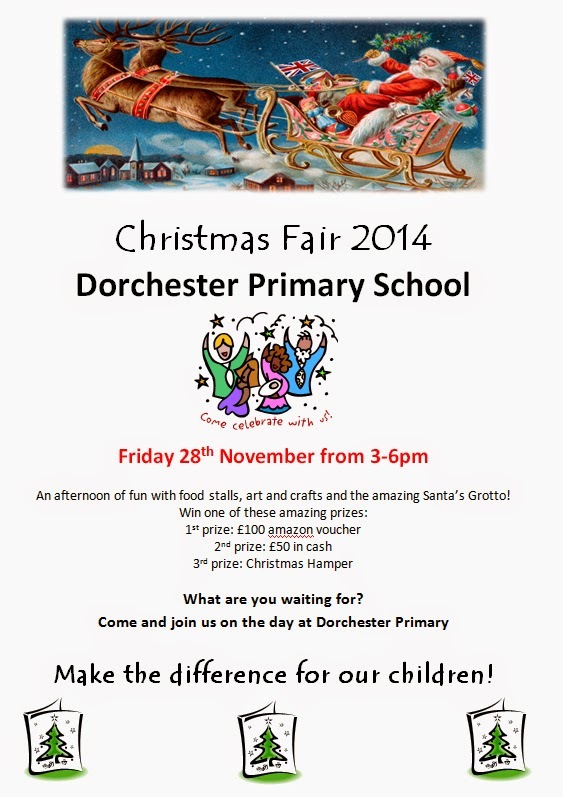 The first on my list is the Dorchester Primary School's Christmas Fair which is taking place next Friday (28th November) straight after school from 3pm until 6pm.